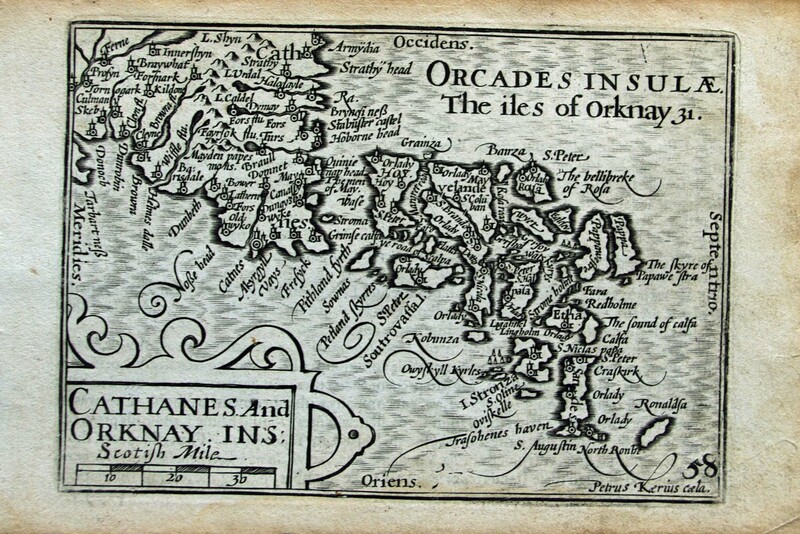 Peter Keere's map of the Orkneys published in Atlas form c. 1627 in what became known as the miniature Speed because of its small size (maps only measure about 12 cms x 8.5 cms). However one of the images seems to have been engraved as early as 1599. Considerable detail. We also have a handsome set of these Keere maps covering the whole of Scotland each mounted in Conservation Grade Mountboard at £165 each. In addition we have a Keere map of SE Scotland which is coloured, mounted and framed at £125 (including VAT).